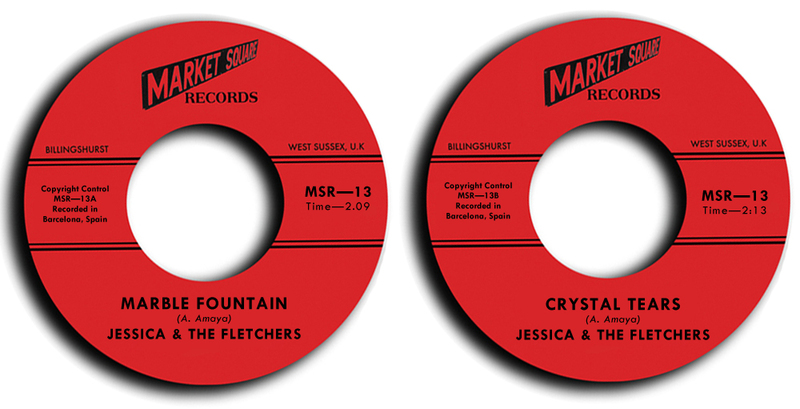 Barcelona based Indie-Pop noise makers Jessica & The Fletchers debut 7" Marble Fountain b/w Crystal Tears will be proudly released on Market Square on the 23rd May 2016. Jessica & The Fletchers have caused a bit of a sensation on the world-wide indie pop music scene during the last year, with their uber authentic C86 styled noise-pop, they wouldn't be out of place sharing the bill with The Shop Assistants circa 1986, however they are rooted firmly in their location of Barcelona 2016. 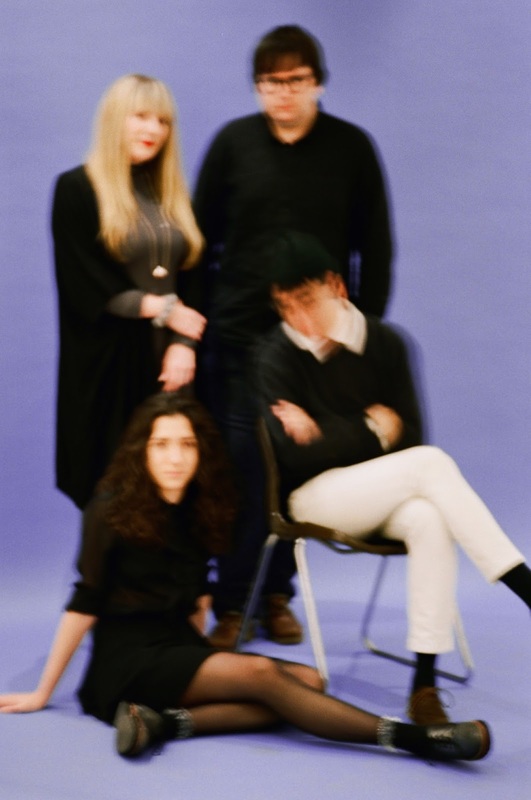 Fronted by Antoni Amaya who is also the bands songwriter, the group are clearly influenced by the ramshackle C86 music scene which came out of England in the mid-80s, they are defined by strong melodies, great song-writing and ethereal noise melting it all together just like honey. 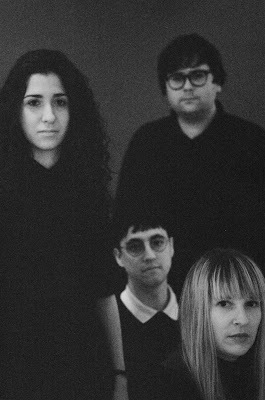 Whilst being inspired by mid- 80s indie labels such as Sarah Records, Subway Organisation, bands like Talulah Gosh and most-likely a lot of the Scottish Indie scene of the time, these young noise-makers also take influence from the Spanish new-wave which aptly enough coincided with the C86 scene in the mid-80s. Jessica & The Fletchers although influenced by music made 30 years ago are also firmly rooted in the "NOW" and I feel are a breath of fresh air in the music world today, there are not many honest pop bands out there anymore, however these girls and guys are just that and I love that about them. When I heard Jessica & The Fletcher for the first time, I fell in love with their music, their songs are rooted in the realism of their own lives, its truly honest music and has an extremely bittersweet vibe about it. Jessica & The Fletchers have a really interesting way of making short, spiky, pristine pop songs which are under the 3 minute-mark yet remain totally true to themselves and they keep a real understated mystery.... I think they're FAB!!!! 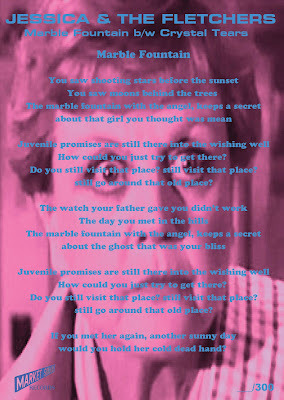 Marble Fountain starts the 45 with fuzzy guitar and simple 4/4 drumming holding it together, suddenly Jane the bands guitarist and lead vocalist starts off proceedings with her soft vocal singing the opening line "You saw shooting stars before the sunset..." the song proceeds in a see-saw motion of melodic intensity, retelling the tale of love-lost and adolescent poetry. The B-side 'Crystal Tears' is the same style of indie genius, although a little more up-tempo compared to the A-side again Antoni provides beautiful teenage style street poetry with his lyrics and Jane sings a beautiful melody throughout, Aitor the bands drummer, keeps the time firmly despite the speed delivered and Sonia the bassist provides a nice comfortable bass holding the song together, they work well as a unit, which can really be heard on this track. 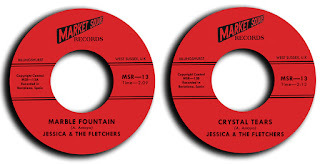 I see great things happening for Jessica & The Fletchers and really feel they should be "YOUR next favourite band". Also check them out on Bandcamp to purchase their previous material. You can buy copies of the single direct from the band or through us at our bandcamp page (See below) I'll be putting the 45 up for PRE-ORDER on May 16th which is a week before it's out.